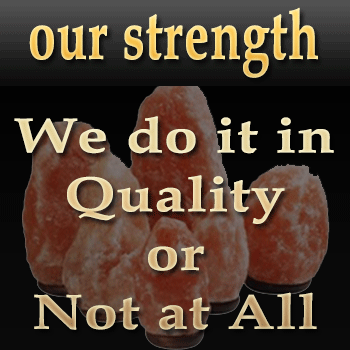 Think for a moment you received your order of a salt lamp but that is not among the premium quality salt products! That happens when we order before some research. So, let’s begin to know about the measures of quality. First of all, we need to know a little bit on the history of Himalayan salt. A couple of hundred Million years ago, Himalayan Mountain and the Salt Range were not what these are today. The region was completely under water and only surfaced when South Asia appeared as a continent. The benefits and the use of Himalayan salt have existed since then. And, with the passage of time the premium quality salt products are gaining popularity among the sellers and consumers. Salt products are not something new; people are using them for the purposes of meditation, purification, and elixir for ages in different forms with different names. Salt is not as ordinary as you might think, it has been of utmost importance since forever. The words “salary” & “salad” are also derived from the word “salt”. Today salt and the premium quality salt products form an integral part of our lives and we benefit from each ounce of this natural blessing. How our products are the premium quality salt products? • We are picky & choosy. So, we aren’t satisfied until we find the best salt rock to craft it into a masterpiece. • Our skills, vintage & laborious craftsmen give natural rocks the elegance you desire. • We price reasonably. All of our premium quality salt products come at a price you would happily pay for such luxury. • Our customer support runs in passion. We don’t turn our backs once a product has been sold. • We believe & pursue quality at any cost. • Professionalism & no compromise on customer satisfaction. • Following our vision & mission to benefit consumers. • Providing the best premium quality salt products at aggressive pricing. • Teamwork and dedication to delivering the best premium quality salt products at all times. • A devoted workforce that is ever ready to face tough challenges & stiff deadlines. • Top-notch & state-of-the-art techniques, craft, and artistry. 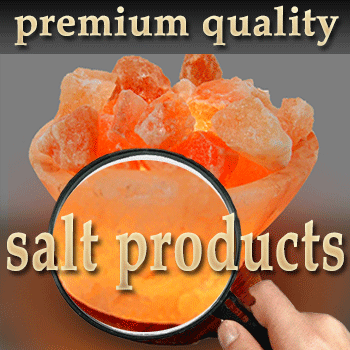 • Variety and a wide range of premium quality salt products. • Prolific experience and unmatched integrity. Our primary mission is to make the elegance, beauty & usefulness of the premium quality salt products available to masses at very reasonable prices. There is still a mob that is oblivious to the advantages of salt products and we want to create the awareness, the knowledge, and the wisdom. Our goal is to spread the word to every nook and corner. And, reach as many consumers as we can and make them our diehard fan. And to achieve that goal our business of wholesale salt lamps is consistently going up. In short, the key to our mission lies in our integrity, devotion & professional attitude. Reaching out to a greater number of people doesn’t only mean business to us; it’s surely much more than that!